Dr. Robert E. Jacobson is an extremely coveted neurological surgeon specializing in spine surgery with tremendous expertise in Regenerative Medicine and Stem Cell-derived procedures to treat a myriad of cervical and lumbar related conditions. 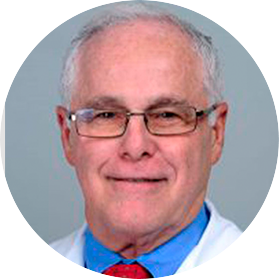 With over 35 years of experience, Dr. Jacobson possesses remarkable proficiency in spine surgery and started his training and career in Neurosurgery at Mount Sinai Hospital followed by a residency in Albert Einstein College of Medicine/Jacobi Hospital in New York, and at the University of Miami Hospitals. He completed fellowships in Cervical and Lumbar spine surgery in AcademischZeikenhaus, Utrecht, Netherland, and Microvascular surgery in Kantonspiel Hospital, Zurich, Switzerland. He served as a medical officer in the United States Army and later continued as Instructor and Assistant Professor, at the University of Miami-Jackson Memorial Medical Center in Miami, Florida. He received Academic honors from Ford Foundation, Phi Beta Kappa, and Alpha Omega Alpha Medical Honor Society. 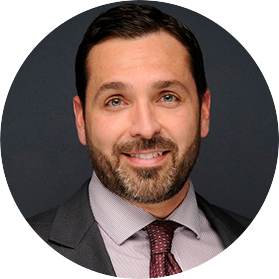 Dr. Michael Gombosh is a highly experienced Orthopedic Surgeon who is Double Board Certified by the American Board of Orthopaedic Surgery (board certified in Orthopedic Surgery and board certified in Sports Medicine) and has received numerous medical awards and recognition in his many years in practice. A graduate of the University of Miami, he then completed his fellowship at the highly acclaimed Cleveland Clinic in Cleveland Ohio. Dr. Gombosh was first drawn to orthopedic surgery by the ability to reconstruct and ultimately restore function and quality of life to his patients. Working with an active patient population, he truly understands the overall mental, social and health benefits of being active, and the role recreational activities and sports play in the patients’ lives and ultimately, how Regenerative Medicine can help improve their overall health. 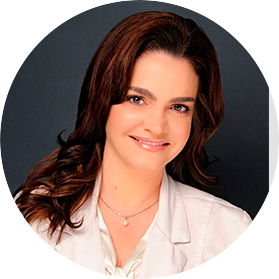 Dr. Fernandez-Miro is a board certified physician that has been an attending medical doctor at the University of Miami Hospital, Coral Gables Hospital, Hialeah Hospital, and Larkin Community Hospital. He strongly focuses on preventive health care and treats patients in a comprehensive manner, focusing not just on the ailment but also on the general well-being of the patient. He believes that two-way communication is the key to good health and he is fully bilingual in English and Spanish, as well as a zealous medical researcher, with several authorial credits in numerous esteemed publications. 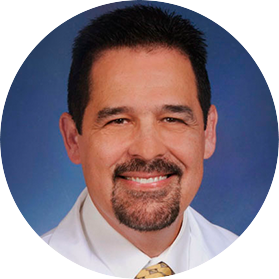 Dr. Fernandez-Miro brings the wealth of his multifaceted talents to the Regenerative Medicine arena, joining the coveted team of multi-specialty physicians at Stem Cell Miami by using the latest in stem cell-driven methodology to improve the overall health and wellbeing of his patients. Clinical and Sub P.I. March 2012 – PresentGenoma Research Group Inc.
Maria Theresa Villar, MSN, FNP-BC is a Board Certified nurse practitioner with almost 20 years of medical field experience. She is an extremely passionate healthcare professional, exceedingly educated and well trained to provide health promotion and maintenance through the diagnosis and treatment of acute illnesses and chronic pain conditions. Furthermore, Miss Villar is fully bilingual in English and Spanish and is highly specialized in Regenerative Medicine procedures to treat a myriad of painful conditions and is also vastly qualified to conduct the most innovative stem cell-derived beauty enhancement treatments. Bachelor’s degree in nursing from the University of Miami.